I recently returned from the grocery store with my father, who was astounded and flabbergasted about what I bought as supplements to my diet. It was hard for me to explain to him the benefits of eating chia seeds without being able to recite the nutritional facts listed above. After all, without facts we’re just talking about a study we read somewhere, sometime. So, I started digging. 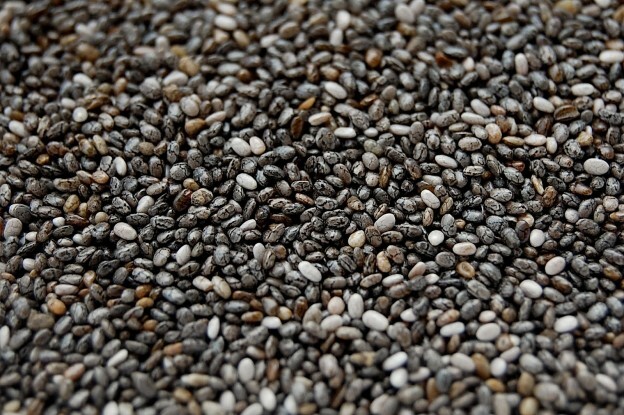 Chia seeds have been used as food and medicine for a good number of years, we’re talking proof of its usage as early as 3500 B.C. in the native tribes of Central & South America. It was actually used as currency! Apparently the conquistadors disliked the chia because it was used heavily in tribal ceremonies, so this led to the slow decline of its use. It is also interesting to note that because of it’s high anti-oxidant levels, the chia seeds can last almost 2 years without refrigeration. It is reported that chia seeds can increase endurance and resistance to heat and thirst. Apparently botanist Edward Palmer – an explorer of Mexico in 1891 – reported 1 tsp of chia seeds would sustain a foot traveler for 24 hrs. So, a high endurance is expected. Chia seeds improve the balance of healthy fats in the body. These are the Omega-3 fatty acids that ease inflammation reducing cardiovascular diseases, enhance cognitive performance, and reduce high cholesterol. They are one of the richest plant-based sources of fatty acids, specifically alpha-linolenic acid (ALA). The seeds also have a high antioxidant content, which protects the body from free radicals, aging, and cancer. It’s been shown to regulate serum glucose levels. Given that they effect blood flow, please consult a qualified doctor about consuming chia seeds and continuing medication for the blood flow. Do you have any favorite chia seed recipes that you’d like to share? I have it daily in my blend. Note: if you are on any medication please consult your doctor about changes to your diet and any possible conflicts with your medication. This entry was posted in Health and tagged antioxidant, calcium, cardiovascular, chia, fatty acids, fiber, inflammation, iron, magnesium, manganese, niacin, nutritional value, omega-3, phosphorus, protein, seeds, superfood, thiamin, zinc on May 14, 2014 by Mind Soul.